No matter how many versions I’ve seen of this “tale as old as time,” it never grows old. The magic is still there in Disney’s new live action version of Beauty and the Beast. Directed by Bill Condon (Gods and Monsters, Kinsey), the film emphasizes our heroine’s bravery and independence even more than earlier versions. While Belle (Emma Watson) is still a nerdish book-lover, she isn’t afraid to fight her own battles. The fierce-looking Beast (Dan Stevens) is larger and scarier than in the stage musical, and much more frightening than the cartoon version. But Belle isn’t intimidated by his brutal behavior, and sees through his rough appearance to appreciate his heart and mind. She is especially impressed when he allows her access to the castle’s immense library. The Beast’s animated household characters are all adorable. Especially little Chip, the teacup, who longs to play outside in the sunshine like he did as a boy. Mrs. Potts the teapot is played by the delightful Emma Thompson but the boy/teacup isn’t listed in the credits. While the ending of this fairy tale romance is never in doubt, there are some changes in the script. Belle’s suitor Gaston is more evil than in former incarnations, where he’s portrayed as more of a schoolyard bully. In this version, Gaston (Luke Evans) is an arrogant, vicious villain. A lot of press has been devoted to such contemporary touches as the possibility of Gaston’s sidekick Lefou (Josh Gad) wanting something more than brotherly love. In spite of the buzz, it’s doubtful anyone under the age of 17 will notice this allusion. Also featured in the star-studded cast are Kevin Kline as Belle’s eccentric father Maurice; Ewan McGregor as Lumiere the candelabra; Stanley Tucci as Maestro Cadenza the harpsichord; Audra McDonald as the wardrobe; and Ian McKellen as Cogsworth, the clock. Composer Alan Menken, who won Academy Awards for Disney’s 1991 animated version for best original score and best song, again provides the score. New original songs written by Menken and Howard Ashman plus new songs by Menken and Tim Rice are included in the score for the new film. Rated PG for some action violence, peril and frightening images, the live-action film is written by Evan Spiliotopoulos and Stephen Chbosky. 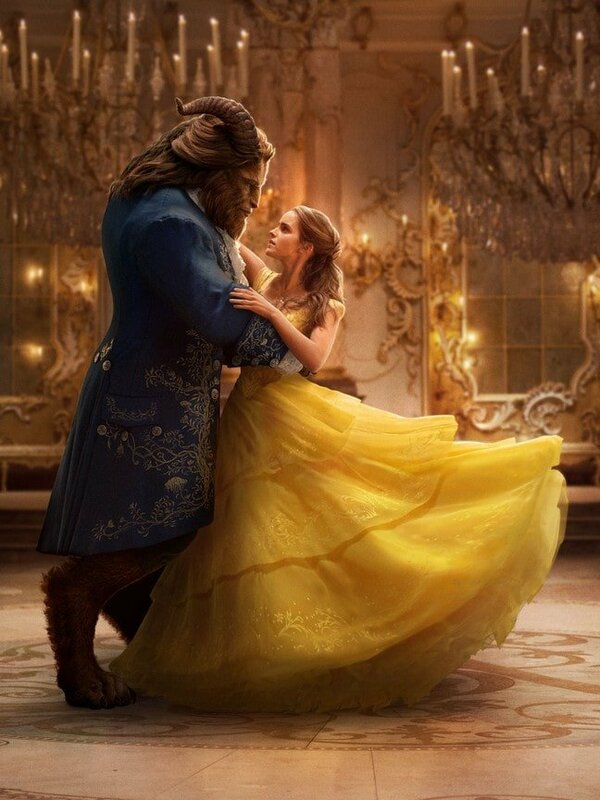 “Beauty and the Beast” and March 17, and runs 129 minutes.